I’m back here in India after a long break. Lot of things have changed. Internet is the cheapest and fastest in the world. Seriously. For 6.88 USD you get 200GB of 4G data. And no, 4G isn’t limited to just a few cities, its available even in small towns and villages (at least here in the South). And while my bus keeps moving – like my delightful experience in Peru. Anyways as a side-effect, everything has changed. People stream videos ALL THE TIME. Especially in Bangalore traffic, the taxi Uber/Ola drivers do. And… as my old friend put it, there is an app for EVERYTHING. Funny thing is a lot of these apps are marketplaces or aggregators. Health centres, football courts, hair dressers, physiotherapists, maids, groceries, restaurants, restaurants that only provide take-away, group fitness classes. Holy f***ing s*** what happened to the India I left. Now if you provide a platform for all restaurants – you can provide more value (and make more money) than any single restaurant might. Same goes for Taxis, Hairdressers, Digital Marketing Agencies and all types of businesses. I see them as natures way of saying if you don’t join hands together, someone outside will come make you do it. They will not only make you do it, but also dictate how you all do your business very soon. We see them everyday – big name web companies and consultants who directly compete with each other promoting each other. Inviting each other on their podcasts and writing guest post for each other. Are they insane? Wouldn’t their audience go to their competitor? 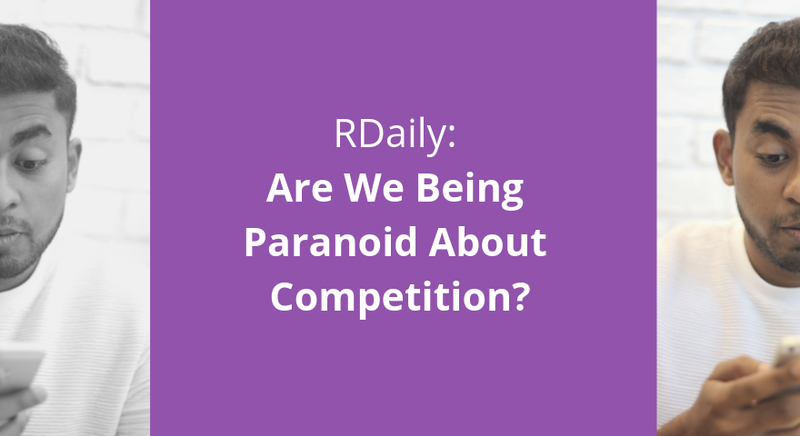 What if the opposite happens, what if the competitor’s audience comes to them? I understand its hard to understand how valuable we are, when we are small and barely scraping revenue to pay our bills. But perhaps we all not realising this is what is causing that state. We all bring our uniqueness to our table. No matter what competition we face, there will be customers who will flock to us for who we are (as long as we market ourselves authentically that is). Don’t expect to do the same copying crap we do right now and still expect customers. I am making it a personal goal to partner up with someone this week and promote each other. How about you? P.S. I am going to be posting everyday from now without worrying about anything – readers, quality of post, word count, SEO. Thanks to the inspiration by Seth Godin on his interview with MarieForleo recently. Comment below if you want to join blogging everyday.